We bundled onto the minibus where we met the 11 or so other travellers who were joining us on the trip – it was a really good mix of people, different age groups, Brits, Italians and Germans to name a few. 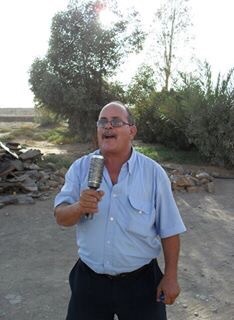 Our driver and tour guide was a Moroccan gentleman who was definitely a character – more about him later! 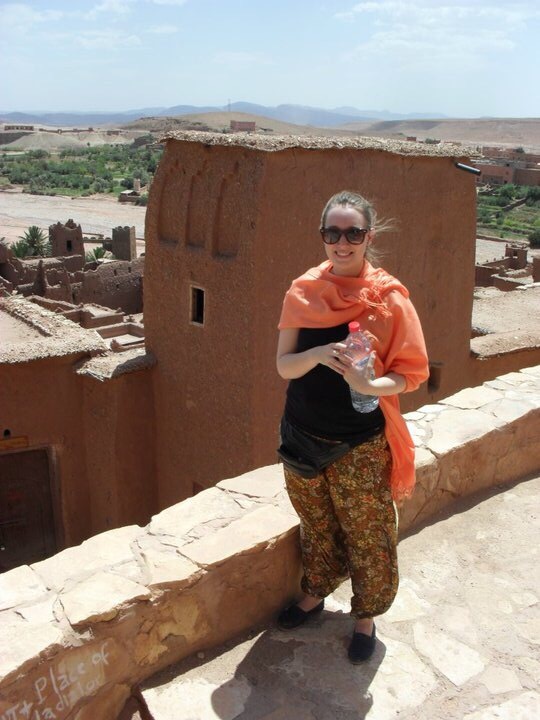 Our first stop on the trip was the Kasbah Ait Ben Haddou, and ancient fortified city (ksar) in the Draa Valley which connects Morocco to the Sudan. The city dates back to 17th Century and is now a UNESCO world heritage site. It is absolutely beautiful and it’s no wonder that the city has been used as the backdrop in films such as Gladiator, Babel and Lawrence of Arabia. We went inside the city where we had a wander through the ancient streets. We soon were herded into a local’s home whereby we were served fresh mint tea and shown their beautiful handmade rugs. As you can imagine, at this point the hard sale began! 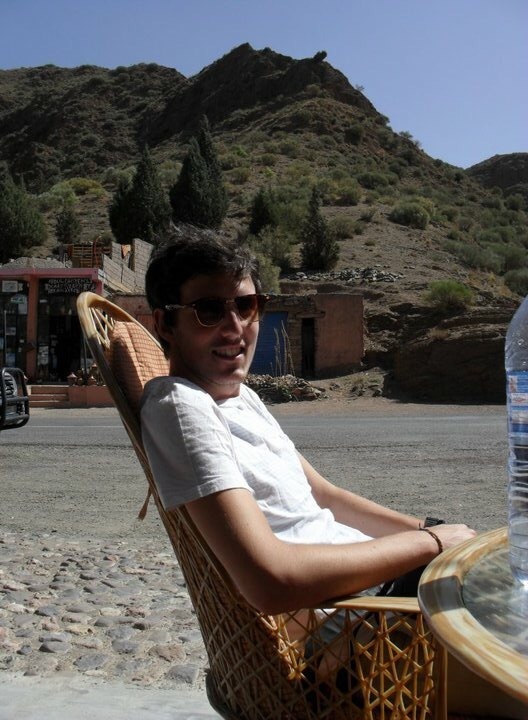 Having spent a bit of time in the city, unfortunately none of us leaving with a carpet under our arm, we got back into the minibus and headed towards Ouarzazate (known as ‘the door to the desert’) where we had a quick stopped off at a film studio where many well-known movies have been created. Our final stop of the day was at Dades Valley where we would be spending the night. 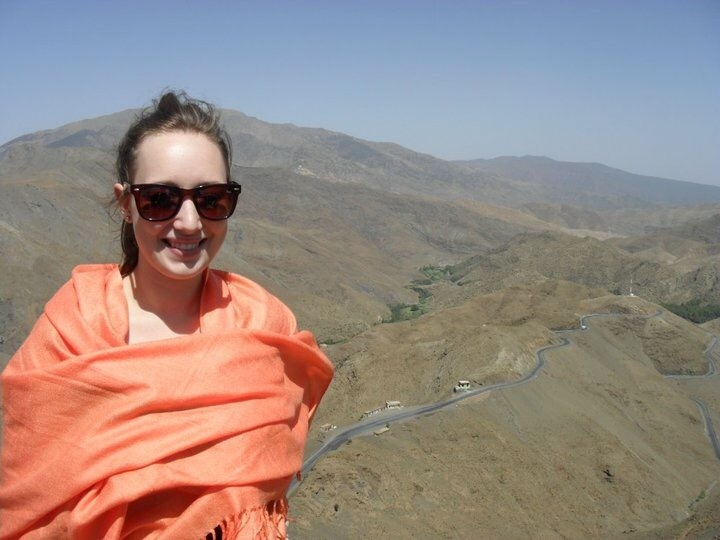 The Dades Valley is a region in the High Atlas Mountains had has spectacular scenery. We stopped off at a rock formation known the ‘Monkey Fingers’ which was really interesting. That night we checked into our Riad where we were served a traditional Moroccan meal. It was nice to get to know our fellow travellers a bit better and was a really fun evening.The next morning we woke up early, had a delicious breakfast at the riad before boarding the minibus and hitting the road again. Our first stop off for the day was at the ‘Road of 1000 Kasbahs’. This twisting road is enough to make anyone sick by just looking at it, it was even worse driving it and even more scary was the fact that the roads had no barriers, just sheer drops to the cliffs either side. Our driver, who I mentioned was a complete character, insisted on showing off his driving skills which made most of the drive feel like a white knuckle ride. Even worse – he found it hilarious to take his hands off the wheel while navigating the hairpin corners. It’s a miracle we survived really! The driver kept telling us how he was once Brad Pitt’s personal driver (as if that made us feel safer) and that he was in the movie Babel. We didn’t really think much of that and thought at best perhaps he was an extra. It wasn’t until we got home and watched the film that we realised he really was in the film – and had a speaking part no less! Hilarious! …a speaking part and all! After surviving the Road of 1000 Kasbahs (which luckily didn’t turn into the Road of 1000 Kasbahs plus 11 or so travellers and their crazy driver) we stopped off at the Todra Gorge which is an impressive trench of gigantic rock walls that, change colour creating an absolutely magnificent spectacle. There’s a small stream running through the bottom and is a really interesting stop off. There’s many traditional Berber villages in this area so it’s not uncommon seeing the locals walking through the Gorge with the donkeys in tow. After a bit more time spent in the minibus (time which Miles spent playing –erm – dress up?) 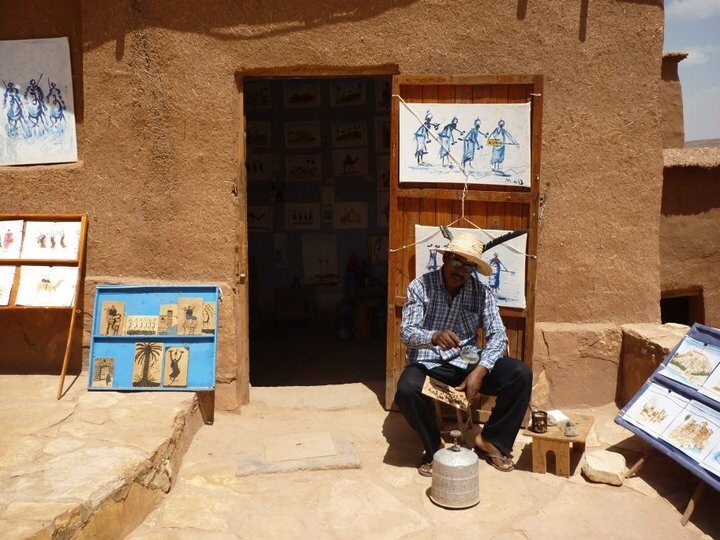 we arrived at our final stop – Merzouga where we would be meeting our Berber guides and picking up our camels. The guides kindly assisted us with our headscarves before introducing us to the camels. Miles named his Cameron, mine Camelia. I’ll let the photos do the talking here but the view out over the Erg Chebbi area of the Sahara Desert were completely breath-taking. After a couple of hours on the backs of the camel we arrived at our camp for the night. We were served up the most delicious traditional Berber meal by our guides which we sat out on the dunes to eat. After our meal we all sat around a candle where the guides sang and performed traditional music for us. It was literally *pinch me I’m here moment*. Just before the visit from the scorpion! A little later, and still with the music ongoing, one of the travellers let out a little shriek and noticed a scorpion circling around the candle – it was a huge, almost translucent scorpion. The guide jumped up and tried to kill the scorpion but he was too slow. From then on the guides wouldn’t let us light the candle and carried on performing in the dark whilst one guide stood up keeping watch. ‘Was that a dangerous scorpion?’ we asked, a bit baffled by their reaction. ‘No no’ they told us a little unconvincing. We believed them and went on to sleep out in the open with nothing but mats underneath us. When we got home, us and a couple of the other travellers with whom we kept in touch with, looked up the scorpion. It turns out it’s called the ‘Death Stalker’ and regarded is one of the most dangerous species of scorpions. That explains our guides’ reactions then….Scorpions aside, we had the most amazing sleep out on the dunes. There’s literally no light pollution in the desert and the sky is so clear you see countless shooting starts. It was completely unforgettable.